Luke and his sister Jenny aren’t overly excited when they first learn of their mother’s plan to take them to Tombstone, Arizona, as part of their vacation. That changes in a hurry when they are suddenly swept back to the 1880s and the famous gunfight at the O.K. Corral. The ghost of the Grand Hotel’s handyman, a kindly gentleman by the name of Swamper, guides them through the events of that fateful time. 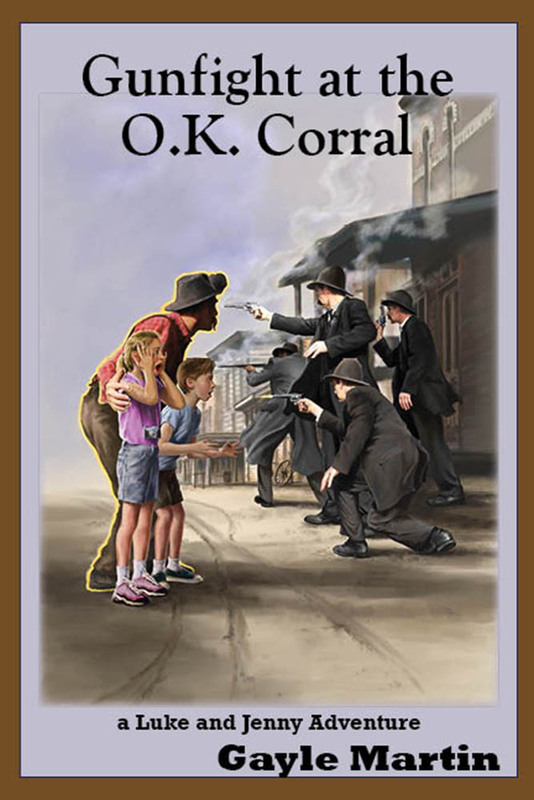 Young readers are right there with Luke and Jenny as they learn firsthand the story of the Earp brothers and what led to the historic shootout. As Luke and his sister Jenny resume their summer vacation their mother plans a stop at the historic town of Lincoln, New Mexico. But when a thunderstorm begins to brew, Luke and Jenny realize things aren’t what they seem. 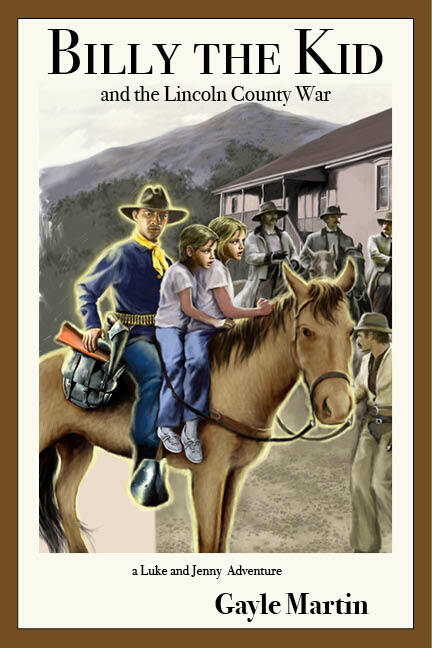 Suddenly they are swept back in time and find themselves face-to-face with the notorious Billy the Kid. The ghost of Paul, a young buffalo soldier who lived over a century ago, guides them on their journey as they experience the life and times of this mysterious young outlaw. On the final night of their summer vacation Luke and Jenny decide to camp out on their great-grandmother’s porch at her Missouri farm. But when their sweet dreams are interrupted by Kate, the ghost of a young farm girl, they once again find themselves on another journey back in time as they follow the adventures of Frank and Jesse James and their friend Cole Younger and his brothers. 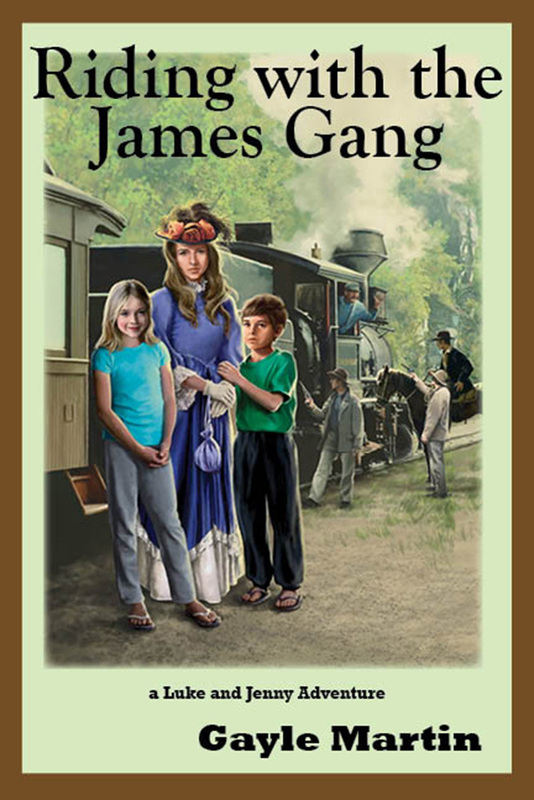 Young readers are right there with Luke and Jenny as Kate guides them through the Civil War and the many bank and train robberies committed by the notorious James-Younger outlaw gang.